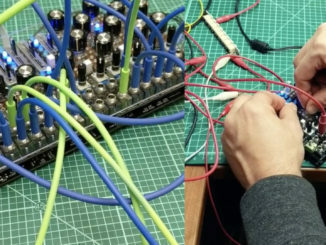 HomeNewsHardwarePATCH & TWEAK – One Book That Helps You Exploring Modular Synthesis Is Now On Kickstarter! 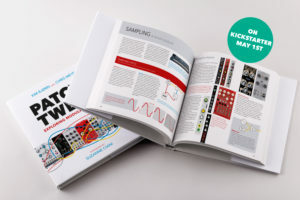 PATCH & TWEAK – One Book That Helps You Exploring Modular Synthesis Is Now On Kickstarter! 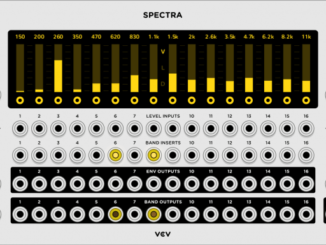 Last year at the same time, Kim Bjørn became known in the Synthesizer community for his first book: PUSH TURN MOVE, which beautifully demonstrates how music instruments are developed in hardware and software. Today his journey continues with his first book about modular synthesis. 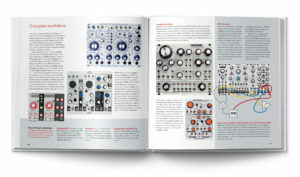 PATCH & TWEAK is a book that features everything you need to understand modular synthesis. The book is made in collaboration with Chris Meyer from the website Learning Modular. It will give you an idea how to start with your modular journey, explain the concepts, functions and more. Beside this, you will be entertained by in depth interviews with modular artists, creators of Synthesizers and much more. Apart from systematic sections and general subjects PATCH & TWEAK features interviews with the passionate makers of modules and systems, and the artists who use them, and influence them. We have already started interviewing – and when more artists are confirmed, we will keep you updated! Hans Zimmer, Robert Rich, Bana Haffar, Caterina Barbieri, Russell E. L. Butler, Ian Boddy, NODE, Robin Rimbaud / Scanner, Hataken, Lady Starlight, Andrew Huang, Richard Devine, and many more. 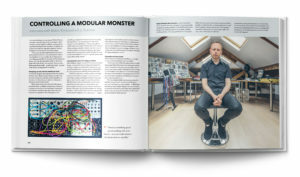 Modular creators and brands, which are particularly evident to the scene, are featured in specific interviews, including Verbos Electronics, Frap Tools, Mutable Instruments, WMD, Make Noise Music, Intellijel, Endorphin.es, 4ms Company, Noise Engineering, Rossum Electro-Music, Erica Synths, and Music Thing Modular. 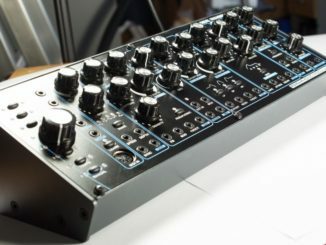 Others including Doepfer, Buchla, Serge, Moog, Synthesizers.com and many more will also be featured. Approx. 320 pages in full color. Hardcover. Dimensions: 24.5 x 24.5 cm (9.6 x 9.6 inches). Printed in Denmark on 130g acid-free quality paper. PATCH & TWEAK is written by Kim Bjørn and Chris Meyer. The book is edited by Paul Nagle, reviewer at Sound on Sound Magazine, and the whole project is kept together and on track by Brand Manager Lars Juhl. PATCH & TWEAK is now available for pre-order on KICKSTARTER. First Sound Demo Of The ELTA Music POLIVOKS Mini Synthesizer Released!